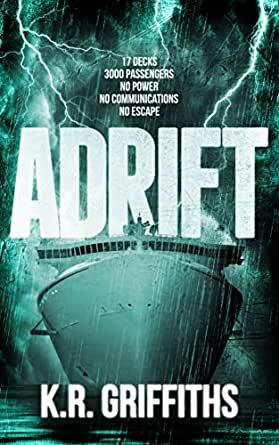 Adrift (Adrift Series Book 1) - Kindle edition by K.R. Griffiths. Literature & Fiction Kindle eBooks @ Amazon.com. What can you tell us about Adrift? Adrift, much like my zombie series Wildfire Chronicles, is my take on another of horror&apos;s most enduring monsters, but I tried to write it in such a way that what&apos;s going on is not immediately obvious to the reader, so I don&apos;t want to give too much plot away. How does it compare to your previous work? It&apos;s the longest book I&apos;ve written, and is definitely closer in tone to Wildfire Chronicles than (serial killer horror) Survivor. But where Wildfire aimed to tell an epic tale, the events of Adrift are confined to a single location, and occur across a few hours, so it&apos;s intended to be a fast, intense read. Adrift really straddles that line, probably more than any of my previous novels. There&apos;s plenty of horror in the story and, I hope, a few scares and scenes of suspense for the reader. After Survivor, which was pretty dark, I wanted to get back to something that featured a hint of the paranormal, which I think makes for a lighter, entertaining read. It&apos;s horror without being too heavy or extreme. 5.0 out of 5 starsTerrifying stand alone by K.R. Griffiths! loved it! Your in the middle of the Atlantic ocean on one of the largest cruise liners to sail the sea. The opulence is astonishing: Pools that you can surf in, spas and shops. Haute cuisine. An adventure around every corner, a full size park (complete with trees and streams...even a pound with real ducks! Twelve decks of paradise...absolutely fantastic! A dream vacation. A honeymoon that most can only dream of. Especially if one of the young couples is trying to start a new life after a horrible attack on the groom. 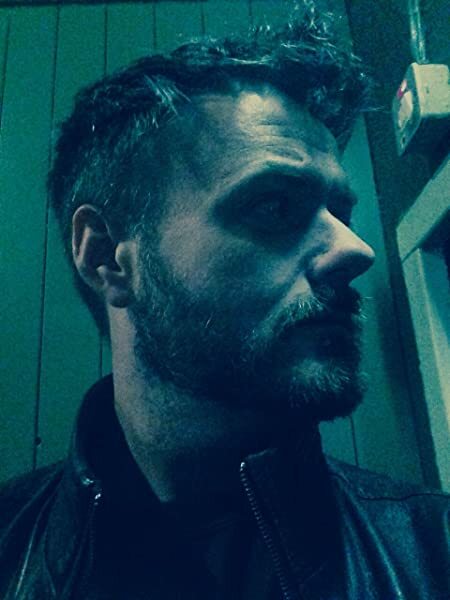 Dan was nearly crippled with agoraphobia after the vicious encounter with a mugger. The cruise was supposed to be a new beginning...everything is going to be fine after all the therapy...this cruise is not only a union, it's a milestone. And then everything goes dark. Dead. Phones, radio's, the ships engines, the back ups, even the back ups for the back up systems...all dead. Not a flashlight.--not even a wristwatch works...WTH_?!? At first there is confusion. A little fumbling around, some even thinking it's a joke...right up until the sound of screaming starts. This is an absolutely terrifying --stand alone-- novel that will have you chewing eagerly through the pages! A very frightening concept. A little "stranded on the open ocean" ...a very dark and stormy ocean, and your aboard one of the most modern marvels made by man, suddenly, your trapped on-board a dead ship with an ancient horror from the earliest nightmares of humankind. Wow... I was so impressed with K.R. Griffiths writing that I am diving right off into a series he's written starting with a book called "Panic" . If it's ANYTHING like ADRIFT, I will be very pleased....and scared. 4.0 out of 5 starsFascinating new take on an old mythos. Fascinating new take on an old mythos. I (usually) love when an author is brave enough to take an established mythos and give it their twist. That is the case here. That it takes place aboard a ship at sea ups the ante for me. The sense that this is a place closed off and out of reach of the world lends more menace and desperation to the events. The characters were plausible and (for the most part) likeable, and I grew to care for them. Even the "bad guys" had their shades of grey. Since I'm catching up on reviewing recent reads, I can say I already bought and read the sequel immediately (review to follow). Newlywed’s Dan and Elaine are on a honeymoon cruise. They’re starting a new life together and hoping that Dan can make more headway dealing with his agoraphobia. It sounds romantic and hopeful. Now, this is the author’s cue to toss in the monkey wrench. Dan sees what appears to be a body being tossed overboard. That mystery soon takes a back seat when a mysterious container is dropped on board and out pours things more fiendish than his phobia could dream up. Putting a bunch of people in a life threatening situation with nowhere to run is a favorite scenario for me. I enjoy trying to guess who steps up to the plate, who tucks tail and runs and who becomes part of the menu. There’s plenty of character’s to choose from and with only a few I actually was pulling for, that left a bunch as appetizers. Adrift would be a killer movie. A whole lot of runnin and screamin and good old horror on the high seas. I ate it up. Writing reviews are often simple, this one I had to really thing about. I had to write one, the author is brilliant. His story moves at a pace that is amazing given the fact that the "bad thing" is not revealed for quite some time. I loved the suspense and the waiting to find out what this "evil creature" was. It was an intense ride. On one hand you have the suspense of finding out what the terrible secret is, and on the other there is this neurotic man trying to overcome agoraphobia (in his case, extreme anxiety and panic when in public settings). He will drive the story forward when the brothers are not. Suspense, anxiety, and fear are in every page. I see he is writing a sequel, I am so excited! 5.0 out of 5 starsNo glittery, sparkly monsters in here. I really enjoyed Adrift 1, and have been waiting for the sequel. It did not disappoint! Was happy to see a long book...well over 300 pages. 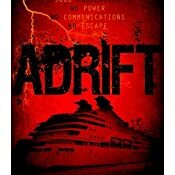 Adrift mostly took place in one location, on a cruise ship, stranded in the middle of the ocean. I wondered where the story would go from there since I *thought* he'd written it into a corner and not much could be scarier than trapped out there with no place to go. Adrift 2 (Sundown) picks up exactly where 1 left off, and definitely ratchets up the tension by putting you in several places at one time with differant characters, watching the chaos that's happening simutaneously. It's a nail-biter, and I devoured it in one sitting. I'm driving my family crazy sneaking up on them and whispering click, click, click. 4.0 out of 5 starsNot my cup of tea, but a solid monster story that starts off slowly. I was debating between 3 and four stars. It was close. I am a big horror fan, but this is not my kind of horror book. I love books like Andrew Van Wey's Forsaken, about an evil painting that haunts the people around it. I love a good ghost story with a solid mystery behind it. Action-packed monster stories like this, with lots of intrigue and fighting are less my cup of tea. But I am reviewing it for what it is, not for my taste. In the second half of the book and especially near the end, this got very exciting. But I am subtracting one star because it got to nearly page 100 before anything interesting really happened and it wasn't until nearly half the book that it really picked up the pace. I found the beginning rather boring. Still, the ending was exciting and I can see this turning into a series. I agree with the reviewer that said there are big holes in it. So you have to suspend disbelief. I won't be reading more of these, but if monsters and fighting and intrigue are your thing, then go for it.